Small Cap Funds are the best choice for the aggressive investors. These type of funds provides high growth opportunity to the investors. Historically it is seen that Small Cap Mutual funds have surpassed returns offered by other funds. When you are making your investment portfolio for long-term you should essentially consider small-cap and mid-cap funds in it. So, if you are ready to reshuffle your portfolio or planning to add small-cap mutual funds in it here is a list of Best Small Cap Mutual Funds to invest in 2018. Aggressive investor and ready to take a higher risk with their capital. Looking for higher returns compared to blue-chip companies. Have a medium or longer time horizon for their investment. Small Cap funds offer significant growth potential and return which is not achievable by other funds. This type of funds offers a chance to invest in small companies that are bringing new products and services or entering into new markets. The cost of investment in such companies is lower and a chance of getting returns are higher. Small cap fund also offers diversification in the portfolio. When large-cap fund does not offer good returns, a small-cap fund might give a better return. These type of companies and funds are underfollowed and full potential of these funds are untapped. It gives a quick opportunity for growth to the investors. After looking at benefits of small-cap funds you must be excited to invest in these type of funds. Well, before you make an investment in these funds let me caution you – These types of funds are risky and suitable for high-risk investor only. You should take extreme care while doing a selection of these funds. How to select Best Small Cap Funds for Investment in 2018-19? You quickly get attracted via these type of sales speech and blindly make investment trusting them. Well, nothing wrong with making an investment on a recommendation by someone. But, when it comes to a risky investment like small-cap fund one should do own research. You should not rely on the recent performance of a small-cap fund. Look at long-term returns generated by the fund. Compare the returns with its benchmark and other peers. If the fund has given a consistent performance you can shortlist the fund for investment. Small Cap Funds are risky in nature. However, few schemes can manage risk and provide higher returns. These type of schemes are best for investment as it provides superior returns with comparatively less risk. In order to identify better scheme, you should look for Sortino ratio of Fund. Sortino Ratio provides information about risk-adjusted returns. Higher the Sortino ratio better is the fund. Another point to check is a top holding of the fund. The fund should not keep excessive holding in any stock. If a fund has more than 5%-10% holding in any stock, you should not consider this fund for investment. Fund manager should be experienced and capable of managing fund independently. A dependable track record and wide experience are must for the best fund. Fund house should be reputed with a historical record of managing large funds. A fund should be older at least 5 years. It is easy to get information about this from the internet. Other Important factors for consideration are fund ratings, the objective of a scheme, diversification in holding, stock exposure and expense ratio. 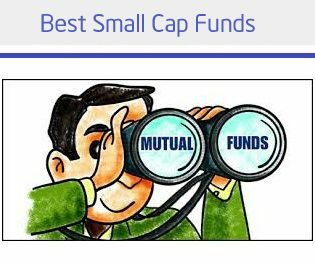 HDFC Small Cap Fund Direct Plan is first best small-cap mutual funds for investment in 2018. This fund has given magnificent returns in past three years. It is three star rated fund with low expense ratio. It’s Sortino is comparable with other funds. You can invest in this fund for a long-term perspective. The second best small-cap fund is Reliance Small Cap Fund. Reliance Small Cap Fund regular and direct fund both have given very good returns in the past. The fund holding and sectorial holdings of this fund are very good. It is reputed fund managed by an experienced fund manager. It is a good choice for investment. Franklin India Smaller Companies Fund direct plan is one of the Best Small Cap Fund. It is four stars rated fund. It is reputed fund managed by an experienced fund manager. The expense ratio of this fund is low. Portfolio quality of this fund is good.